Laxatives are medications that are used to treat occasional constipation. Many laxatives are sold over-the-counter (OTC) without a prescription. Different classes of OTC laxatives work in different ways. Lubricants make it easier for stool to pass out of the body. A commonly used lubricant is mineral oil. Stool softeners moisten and soften the stool, also making it easier to pass. They work well for people with hard stools, which can be the result of taking certain medications (for example, some prescription pain medications) or being too sedentary (for example, hospitalized patients). The most commonly used stool softener is docusate. Fiber supplements are natural dietary supplements that absorb water and help maintain regular bowel habits. They are good for people who do not consume enough fiber in the diet. Bulk-forming laxatives are special fiber products such as psyllium. These products are not absorbed by the intestines and as a result “bulk up” the stool, which makes having a bowel movement easier. Stimulant laxatives cause the muscles of the intestinal wall to contract, which helps to push stool along. Examples include bisacodyl and sennosides. They sometimes cause cramps as a side effect. There is also some question of whether long-term use of stimulant laxatives can cause permanent damage to the intestinal wall. Osmotic laxatives draw water into the intestinal tract, which makes it easier for stool to pass. Examples include polyethylene glycol, sorbitol, lactulose, and saline laxatives (which include sodium phosphate and magnesium products). Osmotic laxatives are very effective but if used in excess may cause problems with the body’s water and electrolyte balance. Over-the-counter laxatives are generally safe to use, with few side effects. However, as with any OTC medication, it is very important to read the instructions on the drug label carefully, take the drug as recommended on the label, and not exceed the maximum dose. Overusing laxatives can lead to potentially serious side effects. Laxatives should not be used for weight loss. As an example, in January 2014 the US Food and Drug Administration (FDA) released a safety warning about OTC sodium phosphate osmotic laxatives. The FDA warned that in rare instances, using more than 1 dose in 24 hours of these laxatives could cause serious harm to the kidneys and heart, and even death. More information about this FDA safety warning can be found in the January 10, 2014, post of the news@JAMA blog (jama.md/19iJXVM) as well as at the FDA advisory link below. There is no single laxative that is best, and everyone responds differently to a particular laxative. If you have questions about which one is best for you, you can ask a pharmacist, doctor, or other health care practitioner. Lifestyle changes such as a high-fiber diet and exercise can be just as helpful as laxatives in treating constipation. 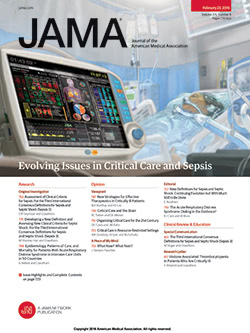 To find this and previous JAMA Patient Pages, go to the Patient Page link on JAMA’s website at jama.com. Many are available in English and Spanish. A Patient Page on constipation was published in the October 2, 2013, issue of JAMA. Source: Givel JC, Mortensen N, Roche B, eds. Anorectal and Colonic Diseases: A Practical Guide to Their Management. 3rd ed. Berlin, Germany: Springer; 2010.